Join you Certified Oslo Guide for a tour from present to past! Travel from areas of rapid urban development thru the old quater and ancient fortress. 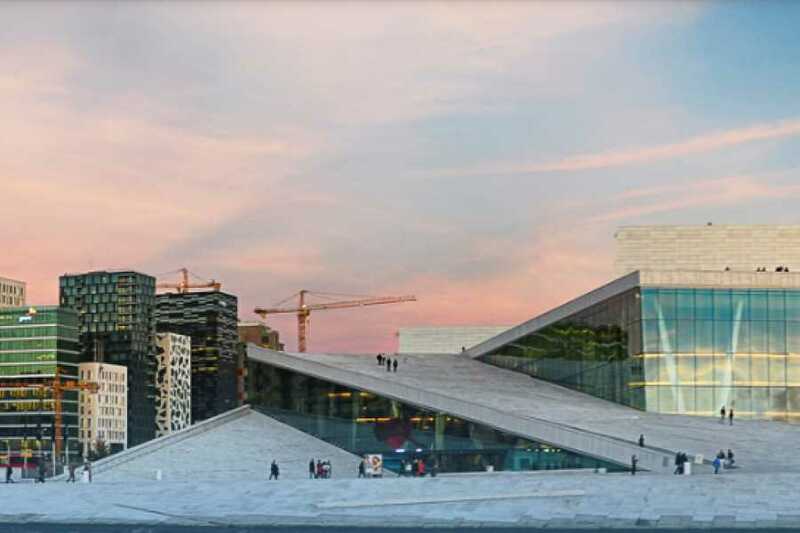 Your certified Oslo Guide will tell you more about one of the fastest growing capitals in Europe and show you how the city blends in new buildings with the old. Enjoy the modern Barcode district and learn about the transformation of this historically industrial port city into the Green Capital of Europe. We will pass by the Opera House, walk through the old town area of "Kvadraturen" from the 16th century and ending with a tour through the medieval fortress of Akershus. If there is no tour availiable on your chosen date or you would like to book a private tour, please contact us a info@vikingbikingoslo.com with the subject "City Walk w/ Certified Guide : Urban Contrasts & Development"